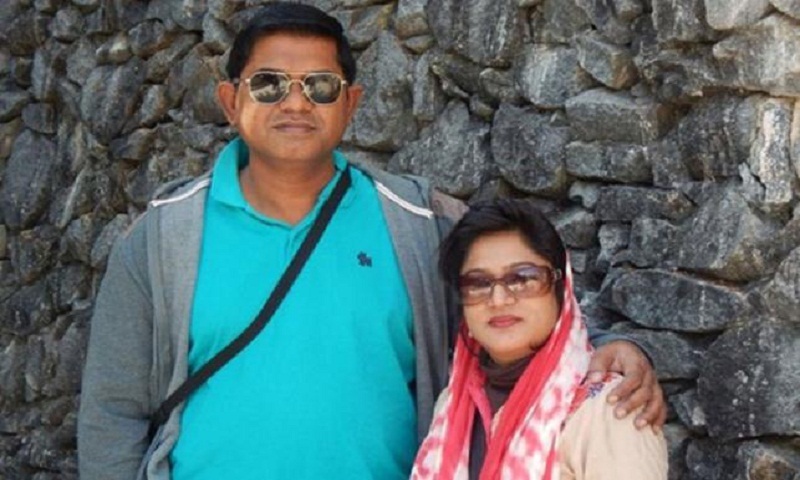 Afsana Khanom, widow of US-Bangla plane crash victim pilot Abid Sultan, passed away in a hospital in the capital on Friday morning. Afsana, who was on life support at the National Institute of Neurosciences & Hospital following a stroke on Sunday last, breathed her last in the morning, said hospital sources. Abid Sultan, who sustained injuries in the plane crash in Kathmandu, died at Norvic Hospital there a day after the incident. US-Bangla Airlines flight BS211, which flew from Dhaka to Kathmandu carrying 67 passengers and four crewmembers, crashed at Tribhuvan International Airport in the capital of Himalayan country of Nepal on March 12, leaving 49 people, including 26 Bangladeshis, dead.